I know it's been quiet around here, but I had a good reason. 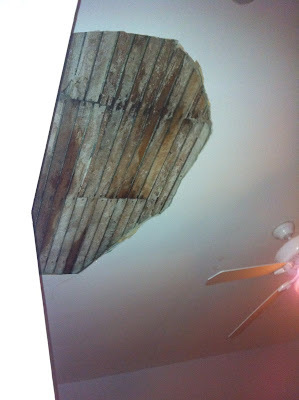 An ice dam had caused MASSIVE amounts of water to soak the attic, which then flowed to the ceiling. The ceiling is plaster so it just gave way and separated from the lathe. 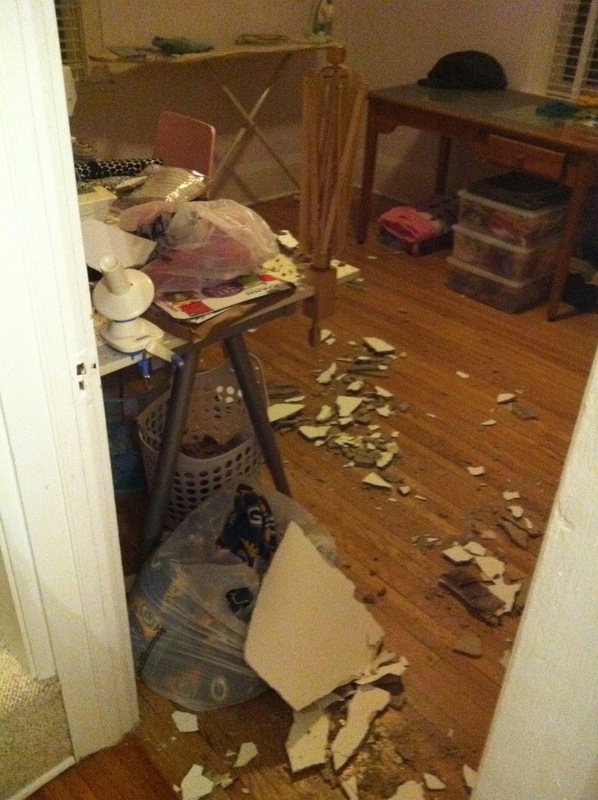 We have more water damage in the guest room, but that plaster is holding on (for now). So, I'm without a craft room, until at least March when the contractor has his next opening (apparently a lot of people are having this problem). Crafting hasn't ceased, I've been knitting, but my progress has certainly slowed as we concentrate on getting the house in order. Good news - I have TONS of projects I haven't blogged about so stay tuned. Oh, what a bummer. I really feel for you. At least it didn't fall on your head. Can't you create a "temporary fix" with a huge applique that "holds" everything together until March. Maybe you could add some "stippled quilting techniques" for the necessary reinforcement! You are so-o talented, Brandy! GO FOR IT!